Woke to the early chatter of wrens and finches : the coo of the doves : followed by the sharp yap of Buster and Shorty as they ‘tended’ to beach walkers. Oh, those dogs! Ever vigilant in the protection of property and home, and their wakeup call led me straight into the sunrise. Lucky me! 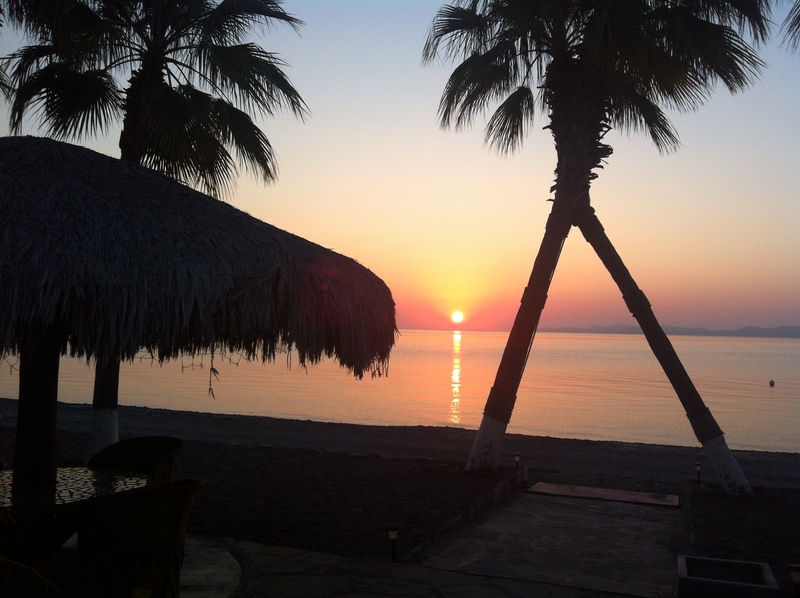 This entry was posted in Casa de Catalina, Loreto, Sea of Cortez, Sunrises. Bookmark the permalink.